The Link G4+ Storm Black, Fury and Xtreme ECU’s use 2 looms, referred to as an ‘A Loom’ and a ‘B Loom’. 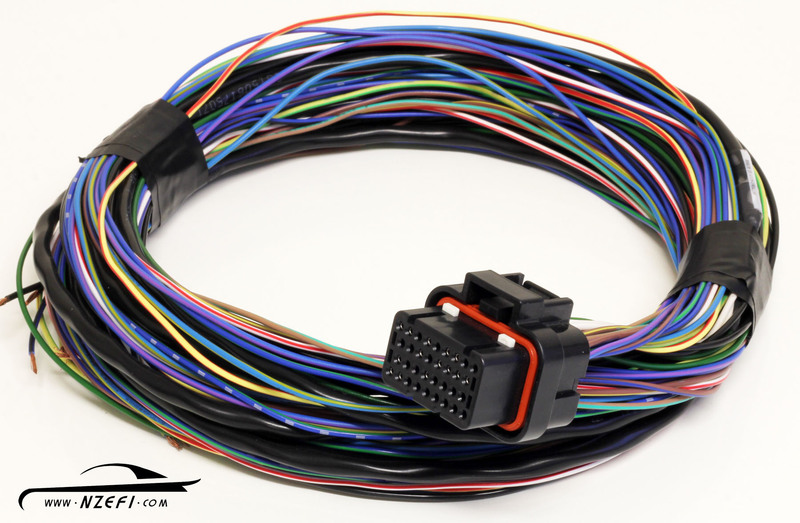 While the added cost of these two looms is significant, typically, installations using the Fury or Xtreme ECU’s are more involved and they generally make use of nearly all of the wiring in theses two looms. In such cases, purchasing both the full A and B looms cannot really be avoided. However, when using the G4+ Storm Black ECU in particular, both full looms are often not required. For basic 4 cylinder applications, it is possible to use the just ‘A Loom’ only. If additional inputs like closed loop knock control are required, or if the ECU is intended to be used on a 6 or 8 cylinder engine running coil-per-cylinder ignition and/or sequential injection, both the ‘A Loom’ and the ‘B Loom’ will be required. 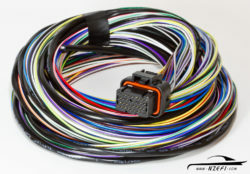 These 17 wires are the same colours and to the same specification as those in the standard Link G4+ 34-wire B loom. The remaining unused locations in the connector are sealed off with blanking bungs. If you are unsure about which looms you’ll need, please contact us.